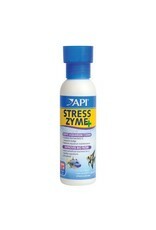 Aquaria AP STRESS ZYME 4 OZ - Rick's Pet Stores Inc. Contains 100 million live bacteria per teaspoonful. Helps keep a naturally balanced aquarium by helping to eliminate sludge build up. 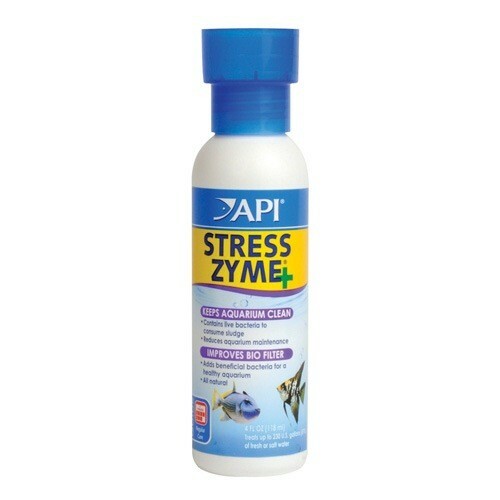 Helps prevent ammonia and nitrite poisoning, low oxygen levels, and low pH. Use whenever new water, or new fish are added to the aquarium.